Many cannot host due to outdated technology. If you are reading this, you are well on your way to joining the wonderful world of Wizard'. If you haven't registered yet, do so on the Portal page in the Wizard Chat window or in the Welcome window. Once you have registered you will receive your password in your E-mail. You can change the password by selecting Control Panel/Options at the top right of the Portal page, then select Edit Profile. You can also edit other profile items on this page. When completed, click the Edit Profile button at the bottom of the page. Next, if you haven't downloaded the game, select DOWNLOADS and download Wizard Cards 2008 Release 2 (Wizard.msi). Run the program and it will install the Wizard game on your computer and (usually) put the Wizard icon on your desktop. If not, select Start/Programs/Wizard 2008 to start the Wizard program. This will open two windows on your desktop: Wizard Game Central and the Wizard 'table'. In Game Central log in with the username/password you received on registration. This will open a new Wizard Game Central window showing who is hosting, either games in progress(Game Started) and which games are waiting for players. If you select a game in progress, you will be be 'seated' behind the host and can watch game play and chat with the players if the host has chat turned on. If there are no games waiting for players, you can host your own game by clicking New Host. A Start Game window will open - this is where you can choose to turn Canadian Rule Off(defaults to On - most tend to leave it that way), choose Hidden Bid, Delayed Reveal Bid(see Bidding Variantions under Rules) or select a Quick game(Explained in Start Game window - normally but not exclusively used for 3 or 4 player games). When you are ready to begin, select Start Game.You can also start a virtual host, however, there seems to be mixed success using that method. Alternately, there a web-based version (WBW) that can be accessed from the Portal page, just above the chat area select "Click here to play the web based version of Wizard!". WBW has some advantages over the regular game, i.e. anyone can host a game and it can be played on a Mac - it has been successfully played on an iTouch, although that is somewhat tedious - it should work quite well on an iPad. Standard Wizard rules apply, with the exceptions mentioned above - read Rules for details or WIZARD in a Nutshell: (Summary of basic rules) below. Note, if you are using a router, you may have to configure the firewall to open port 28888, for both in and out comms. Each router OEM usually has their own method of configuring this feature. If you are not sure how to accomplish this, read the manual, probably under Port Range Forwarding, ask one of the logged-in players or send a U2U message to DougJ. Master points are awarded for the Top Ten players each month and for on-line tournaments(Login below regular login) - read Master Points for details. World Rankings shows the standings of all on-line Wizard Players. There are usually four, sometimes five, on-line tournaments held each month - Regular, Top Ten(for the previous month), Hidden Bid, Delayed Reveal Bid and Mixed Bid. There is usually an annual live tournament, details are promulgated well in advance on the Portal page under Bulletin Boards/Wizard News or Tournaments. CAUTION: Addiction factor very high! Object: To win exactly the number of �tricks� that you bid. � Each player is dealt 1 card and the next card is turned face up to determine trump. � Each player in turn announces how many tricks he expects to win. � The player to the dealer�s left plays a card and play continues in clockwise order. � If possible, players must play the same suit as the card that is led. If not possible, players may play a trump card (to possibly win) or slough off a different suit card (to lose). � Exception: A Wizard or a Jester can be played at any time. Round: The playing of one card by each player. Trick: All cards won in a single round. The person who wins the round is said to have won the �trick�. Trump: A card suit that ranks above the other 3 suits. � By the first Wizard played. � If no Wizard is played, by the highest trump card played. � If no trump is played, by the highest card of the suit led. � The full deck is reshuffled and 2 cards are dealt to each player for the second round, 3 for the third round and so on. � The winner of a trick leads the first card of the next round. � 20 points if you make your bid plus 10 points for each trick won. � Minus 10 points for each trick under or over your bid. Read this if you are unfamiliar with "Trick-Taking" card games. To play �Wizard� you need to understand what is meant by a �Trick�. A �trick� can be defined as a round of cards played, one from each player�s hand. On the first round of play in Wizard each person is dealt only one card so there is only one trick available. The first person to play (lead) is the person to the left of the dealer. The highest card of the suit that is played (led) wins all the cards (trick). E.g. If the 8 of Hearts is led it will win the trick unless someone else plays a Heart that is higher in rank. The deal passes to the left for the second deal. On the second round of play in �Wizard� each person is dealt 2 cards so there are 2 tricks available. * Note that the other players must follow suit (play the same suit) if possible. E.g. If the 9 of Spades is led the other players must play a Spade (follow suit) if they hold one in their hand. (If they have no Spade they can play any card but cannot win the trick.). The person who plays the highest Spade wins the trick and leads the first card for the second trick. If a Club is played then the second trick is won by the player who plays the highest Club. Three cards are dealt for hand 3, 4 for hand 4, 5 for hand 5 and so on. The number of �tricks� available in each hand is always equal to the number of cards dealt to each player. If each player is dealt 10 cards there are 10 �tricks� available. After each deal a card is turned up from the deck (the upcard). The upcard determines the �trump� for that round of play. If a Club is turned up then Clubs are �Trump�. This means that any Club card is ranked higher than any of the Hearts, Diamonds or Spades. If Clubs are Trump then a 2 of Clubs will win over an Ace, King, Queen, etc. of any other suit. E.g. In round 1 the �upcard� is a 6 of Diamonds so Diamonds are trump. If the first card led is the 10 of Hearts the highest Diamond played will win the trick because Diamonds are Trump. If no Diamond is played then the highest Heart played will win the trick because Hearts were led.. Note that if the player has a Heart in his hand he must follow suit if a Heart is led. The deal passes to the left for the second hand in which each player is dealt 2 cards. After the deal a card is turned up to determine the trump suit. The player to the left of the dealer plays first and other players must follow suit if they can. E.g. A 3 of Clubs is turned up so Clubs are trump. The first player plays an Ace of Hearts. Other players must also play a Heart if they hold one in their hand. The Ace of Hearts will win the trick unless a Club (trump) is played. If more than 1 trump is played the highest trump wins the trick. The winner of the first trick plays the first card of the second round. If a Diamond is led the highest Diamond will win the trick unless a Trump is played, in which case the highest trump wins. In �Wizard� each player in turn �bids�. This means that after examining his cards he declares how many �tricks� he expects to win. In �Wizard� the player must win the exact number of tricks that he bid. If he wins fewer or more tricks than he bid he loses points. E.g. In round 1 everyone is dealt one card and the 5 of Diamonds is turned up as Trump. If you are holding a high diamond such as the Jack, Queen, King or Ace you will bid 1 because you expect to win the trick. In round 2 you hold 2 cards and the 10 of Spades is turned up as trump. If you are holding the 3 of Spades and a 6 of Clubs you may decide to bid zero even though you have a trump card. You hope that somebody else will have a higher Spade to win over your 3 of Spades. The most important thing to remember about Wizard and Jesters is that they CAN BE PLAYED AT ANY TIME. If you hold a Wizard or a Jester in your hand you can play the card whenever you decide that it is best for you. There are 4 Wizard Cards in the deck. They are all equal in rank and do not belong to any of the 4 suits. They rank higher than any other card. A Wizard ranks higher than the Ace of Trump. If Clubs are Trump then the only card that can beat the Ace of Clubs is a Wizard. The only time that a Wizard will NOT win a Trick is if it is not the first Wizard played during a round (trick). This is important because sometimes you want to get rid of a Wizard (dump it) without winning a trick with it. E.g. In round 3 you hold a Wizard, a 10 of Clubs, and a 4 of Spades. Hearts are trump so you bid 1. However a club is led and you win the first trick with your 10 of clubs. You do not want to win any more tricks so you lead the 4 of Spades to start the second trick. You expect someone else to win the second trick. Then you hope that some one will play a Wizard during the third trick allowing you to �dump� your Wizard. The second Wizard played loses. There are 4 Jesters in the deck. They are all equal in rank and do not belong to any of the 4 suits. They rank lower than any other card. The only time that a Jester can win a trick is when all players play a Jester in which case the first person to play the Jester wins the trick. Notice that this is only possible in games with fewer than 5 players as there are only 4 Jesters in the deck. Jesters are very useful as they can help you to win a trick and they can help you to not win a trick. E.g. You hold a Jester and a Queen of Clubs and do not want to win any tricks. A small Club is played and you must play next. You can play the Jester and keep your Queen of Clubs, hoping to lose it on the next trick. In �Wizard� you only get points when you make your exact bid. (b) Failed Bids: You lose 10 points for each trick you are over or under your bid. If you bid 2 and make 1 you lose 10 points. If you bid 2 and make 4 you lose 20 points. Bid: A spoken declaration to win a specified number of tricks. Deal: The act of portioning out the cards to the players. Draw trumps: To lead high trumps in order to deplete opponent's hand of trumps. Dump: To get rid of a potentially winning card by playing it on a higher ranking card. Face card: A king, queen, or jack. Hand: The cards dealt to a player; also, the period of play between one deal and the next. Jester: A jester is a null card, can be played at any time and almost always loses. No-trump: The condition when no suit is trumps. Singleton: A holding of only one card in a suit. Upcard: The first card turned up after a deal. Void: A lack of a suit in a player's hand. 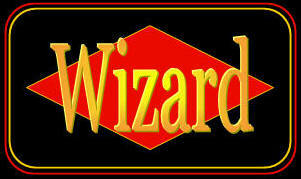 Wizard: A Wizard card is the highest ranking, can be played at any time and usually wins. wizardjester@gmail.com and he'll do his best to answer your questions. 1. Get to your router's sign in page and enter your username and password. c. For both above a. and b. make a shortcut for your desk top for easier access. 2. Your on home page for router, scroll down to Firewall in (Advanced Settings) click on Firewall. b. Respond Ping Request from WAN click Yes and Apply. 3. Look in Advanced Settings for WAN and click on it. 4. Top of my next page I click on Virtual Server/Port Forwarding. 5. Scroll down and look for Port Forwarding. 6. Log out correctly, or the change to your router won't change. 7. When I put up a host I see a box that says I can't host (CLOSE IT) and wait and see if you can host. 7. Have our chat page open ( Wizard Community Forum ) so you can see if, anyone is trying to get on your host and can't. If you still can't host, go back into your router and check that you entered in all correctly and try again, Good Luck. To find your IP address, bring up a game and click on New Host, when you get to Start Game, close the first box so you can see all of the Start Game box. In the lower right corner of the box, click on Get IP. Once you have registered you will receive your password in your E-mail. You can change the password by selecting Control Panel/Options at the top right of the Portal page, then select Edit Profile. install the Wizard game on your computer and (usually) put the Wizard icon on your desktop. If not, select Start/Programs/Wizard 2008 to start the Wizard program. This will open two windows on your desktop: Wizard Game Central and the Wizard 'table'. In game central login with the username you used to register and your password. This will open a new Wizard Game Central window showing who is hosting, either games in progress(Game Started) and which games are waiting for players. Alternately, there is a web-based version (WBW) that can be accessed from the Portal page, just above the chat area select "Click here to play the web based version of Wizard!". WBW has some advantages over the regular game, i.e. anyone can host a game and it can be played on a Mac.